I have to confess that this month we really haven't got up to as much as I would have liked to. Our day to day has been rather boring with nothing really interesting going on. Something I haven't mentioned much here is that Blake is slightly behind in his development. He has speech delay and so was referred for a hearing test in which he passed and has now been discharged from. The next step is more appointments with the speech therapist. The health visitor when we had his 27 month review is concerned with some of his other areas of development. So we are looking into potentially putting Blake into pre-school as she feels that this will benefit him. On the plus side Blake has started to say a few more words and is able to tell us when he needs his nappy changing. 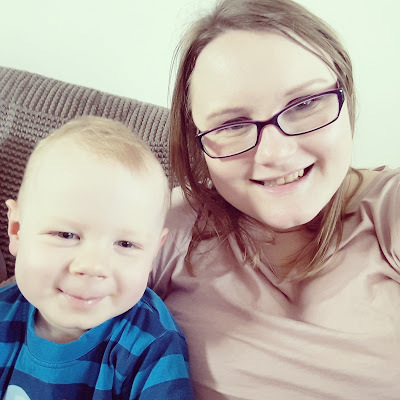 I'm putting potty training off a little longer as I feel he isn't fully ready yet however I can see it being something that we will start to introduce before the end of the year. Mothers day yesterday was lovely and relaxed we got out doors for a walk and a trip to the park so Blake could run off some steam. I was blessed with such a lovely present and card and a glass of rose before bed was a lovely much needed treat. I am looking forward to what April will bring as there are some Easter events happening locally which I am planning to take Blake to.